This program is a supplement to morning Kindergarten at your local public school. A beloved Rose Hall institution, the KE offers children the opportunity to work with Montessori materials part of the time and to engage in large units of study including: Art History, Community, Continents, Rain Forests, etc. This can be a supplement to morning Kindergarten or it can replace Kindergarten. In this program the KDG children are a part of the traditional Montessori mixed-age classroom. 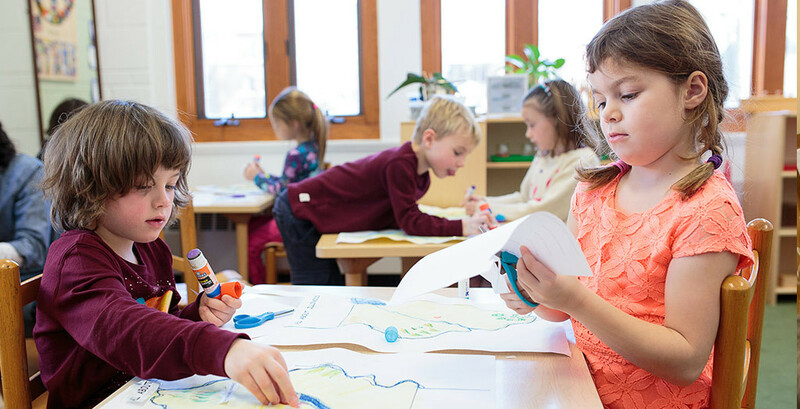 The children explore the amazing Montessori Math and Language materials at a higher level, learn leadership skills as they help younger children, and have great amounts of time to learn at their own pace. Both programs offer an optional lunch program from 11:30 am to 12:30pm.